If you love to travel, you’ll be tempted by World Ventures. World Ventures is a network marketing company that focuses on world travel. Between travel blogs, travel vlogs, and travelogues, the digital age has ushered in hordes of wannabe world travelers. It’s pretty easy to get people excited about travel. World Ventures picked a good (albeit competitive) market to be in. They’re the guys posing in pictures holding signs that read ‘You Should Be Here’ as they travel the world. Should you get involved? Keep reading to find out. 1. What does World Ventures sell? 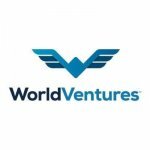 World Venture sells travel services and membership of discount vacation clubs. 2. What are World Ventures’s most popular products? People are drawn to World Ventures because they want to travel the world, so the most popular products are trips. 3. How much does it cost to join World Ventures? You’ll fork over $199 to join, then pay a monthly fee to stay active. 4. Is World Ventures a scam? No, it’s a legitimate company. They’ve been listed #1 in the list of Top U.S. Mid-Market Companies, #2 in the $100 Million Growth Club, and #12 in the top 20 U.S. Companies. The real question is whether you can make any money as a distributor. According to the BBB, complaints allege that World Ventures exaggerates the savings realized by their product and fails to give refunds for canceled services. They also report that only 20% of distributors earn a commision, with the median commission being just $200. We’re also hearing reports of unpaid commissions to top earners (see Lawsuits below). Either way, here are 14 intriguing details about World Ventures you should know. In addition to regular travel, World Ventures offers voluntourism. VolunTourism is basically when a group of people go on vacation not just to sit around on a beach sipping mojitos, but also to give back to the community they visit. Especially given the luxury rates of most of these volunteer trips, the money could definitely be spent more effectively if the goal is to help others and affect change. Travel is a luxury good rather than a necessity. But this actually isn’t as much of a drawback as it might sound. Luxury goods come with fat price tags, and if you can find people who can fork over the dinero, fat price tags come with generous commission checks (see: Motor Club of America). What reps are selling is club membership rather than a tangible product. The benefit of this membership is access to their proprietary travel portal that includes discounted travel packages and a fantastic travel booking engine, Rovia, that claims to have lower prices than popular travel search engines. There are three different membership levels that range from standard to luxury. The initial costs for starting up with World Ventures range from $199.99 for the basic package to $999.99 for the luxury subscription, which is insanely high, considering that most network marketers fail to make that much in profit after an entire year. On top of that, a monthly membership fee from $20.99-99.99 is also required. Whether or not they really have a valuable product is unclear, at best. All they’re selling is access to a travel booking and search portal, which is already available for free through websites like Kayak, Orbitz, and Priceline. The idea is that you’re getting a better deal through their site, and it’s easier to use. But how good are these deals? Is saving $20 on a flight and being able to use a prettier website really worth forking over close to $100 every month? The compensation plan offers some potential to make money fast and some pretty good bonuses on top of that if you can manage to make sales. Representatives can score a $100 bonus by selling 3 higher end trips in 28 days, and then another $150 for selling another 3. There are also $50 and $75 bonuses for selling lower end trips. If you sponsor enough customers to elevate your status, you get your monthly fee waived, and/or 8$ commission on their sales. That being said, representatives don’t start earning commission on their downlines until they’ve hit Senior Representative status, which happens after they have 30 x 2 downlines. You’re not actually eligible to earn any money at all unless you’re “active,” and to be active you have to pay your monthly RBS (Representative Business System) fee on time. The fee covers things like training programs, website maintenance, and marketing tools. New representatives pay a one-time fee of $99.95…and that’s in addition to the start-up costs I already mentioned. To be honest, it’s a little ridiculous to pay two monthly fees, especially when the start-up costs are so high. World Ventures doesn’t target your traditional MLM markets – stay at home moms looking for extra income, disgruntled middle-aged corporate employees, and the like. They target the new wave of younger folk who want to travel the world, teasing budding “digital nomads” with the prospect of making money online while they travel. Their taglines say things like “work less…vacation more” and “work from anywhere!”, and there’s a gigantic market of people who fit this demographic right now that can offer some good money if you know how to tap it. I only grazed the tip of the compensation plan, in part because it’s filled with weird and complicated rules and regulations that would take too long to detail. For example, you have to recruit 30 representatives below you before you even start earning commission. That’s a lot of hustling. For this reason, most people don’t actually make it to the point where they start getting paid a single penny. Kind of sounds like GWT, right? Most MLMs don’t provide much in earnings for the vast majority of their representatives, but World Ventures is pretty bad, even for network marketing. According to their income disclosure one year, 73.7% of their reps fail to earn a single dime. Not only do you have to pay a monthly fee for your training materials, but you’ll also be encouraged to attend a host of training events and conferences that can cost you hundreds of dollars. You also have to pay yet another monthly fee of $30 to use the mailing system in order to receive your marketing materials. Money2020 is a smart card they’ll release soon that will allow their club members to load credit cards, loyalty cards, and IDs and use the cards as payment and proof of loyalty worldwide. The idea seems great, I mean who doesn’t want to get paid to travel? But when you look into World Ventures a little deeper, it seems that actually getting paid is a little harder than it seems. just a quick note the Platinum package you tried to describe is not $999 its $299 one-time fee in which you get back the day you join to use towards your vacation. The monthly fee $100 (for platinum) is stored until your anniversary date and you then receive 1200 points you can use the purchase of your vacation. Therefore, every dime you bought into the membership you get back to use towards vacationing. Believe the MLM industry is flawed.